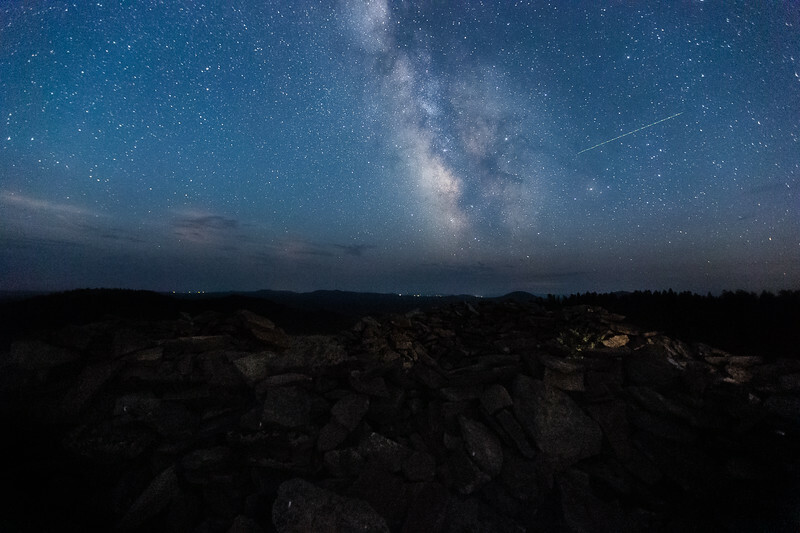 At 6,300 feet closer to the stars, a spiral arm of the milky way galaxy erupts. When our single star sets, millions more emerge to shine at night. 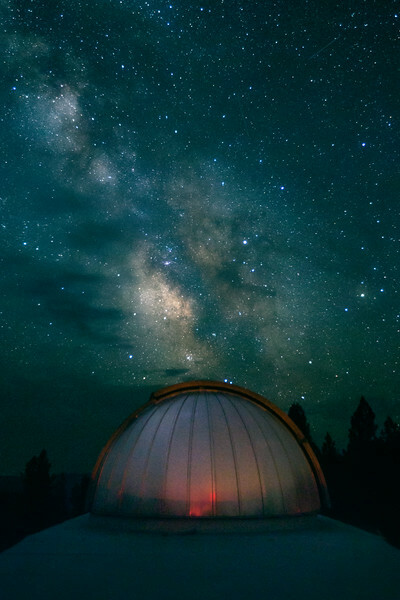 Pine Mountain Observatory (PMO) in Bend, Oregon is on the edge of one of the darkest areas in the U.S. 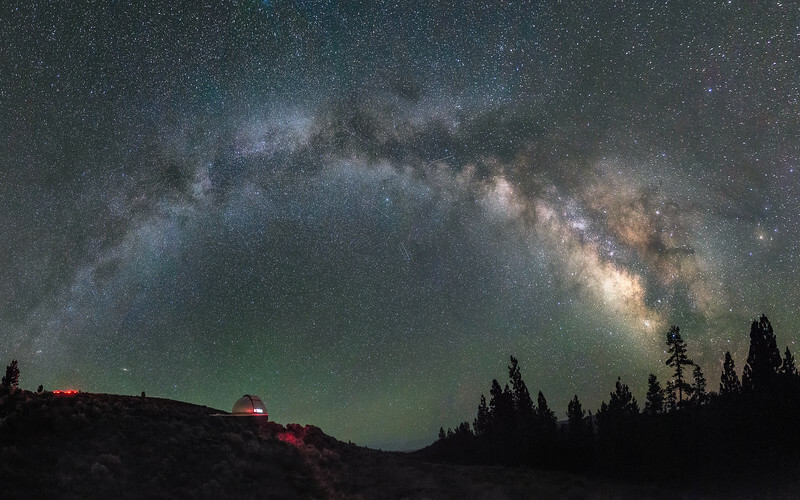 Here, four telescopes bring the cosmos right in front of you. 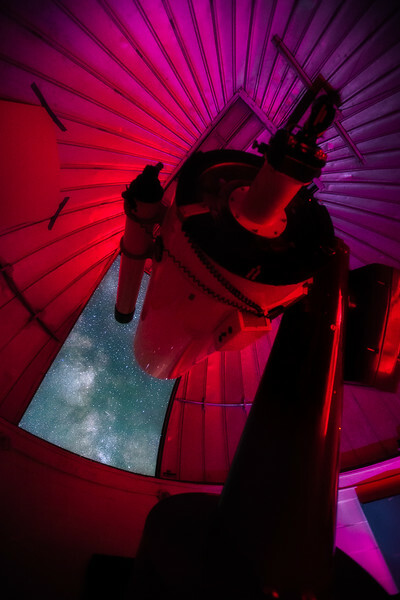 PMO had its first telescope operational in 1967 and has since served as a research facility for the University of Oregon Department of Physics. The site is open to the public throughout the summer months on Friday and Saturday nights. The 32" Cassegrain telescope with a section of the milky way. During the day, Mt Bachelor can be viewed from the top of Pine Mountain. 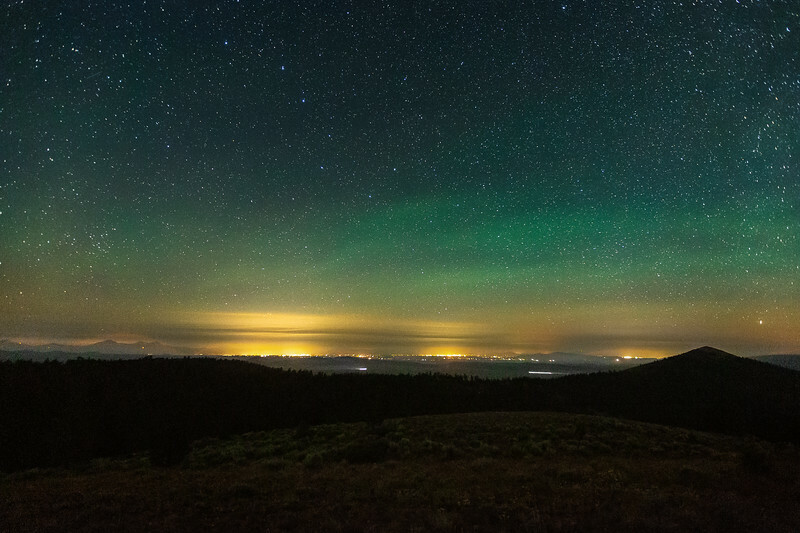 Once night falls, the sky puts on dazzling displays of airglow, satellites, and cosmic objects. 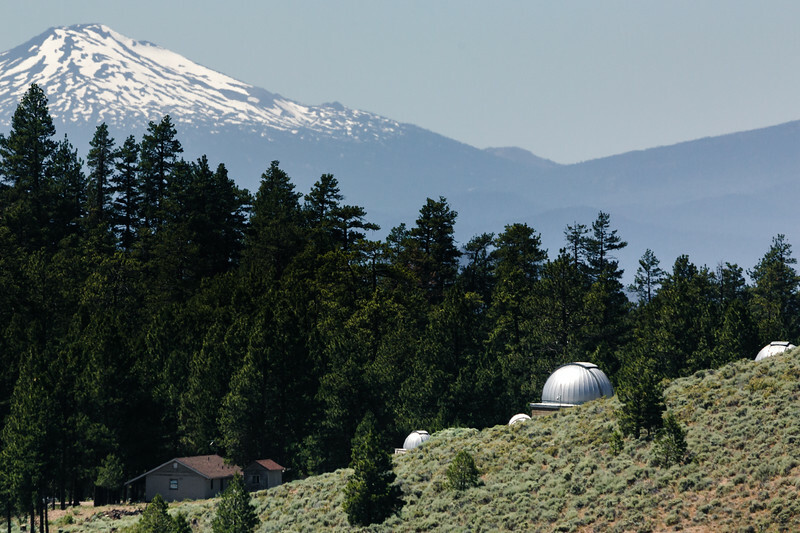 The telescopes are just below the top of the mountain which features 360° views of the Deschutes National Forest. 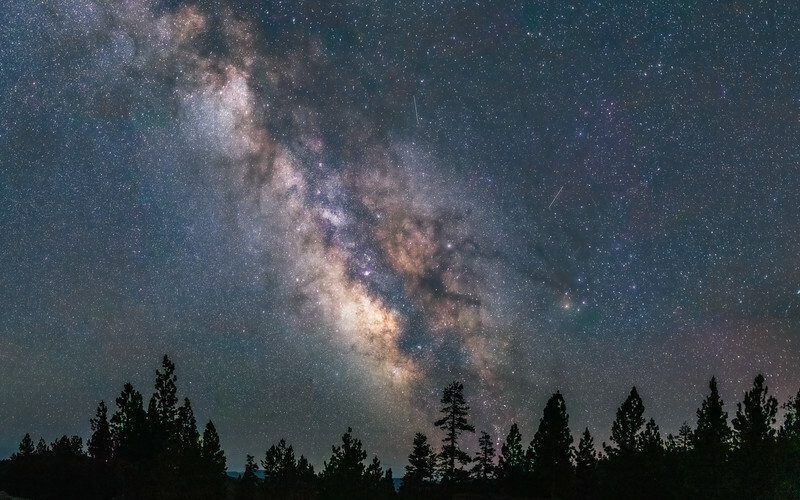 A 22 shot panorama at 50mm reveals stunning detail in the milky way. This week is international dark sky week, celebrating dark sky sites like PMO and also advocating for minimizing light pollution in urban areas. Not everyone has access to dark skies so I hope to bring them to your home with my photography.